The start of July means one thing: the year is half over. That’s a perfect time to evaluate how you are doing on your goals. We put together a list of goals every year – about ten line items normally. While we look at that list every month, we put a lot more emphasis on that list at the first of July, as that means we need to accelerate the ones we’re behind on before the year gets away from us. Although we’re pessimistic by nature, we always view July 1st as the glass half-full – we still have 6 months to redeem ourselves and hit our goals for the year. If you are not in the habit of setting goals, then July 1st is a good time to turn over a new leaf. Many people fail to realize that goals are nothing more than a roadmap, and not having goals is like trying to drive somewhere without a map or GPS system. If you don’t like to get lost with your direction, then goals are a basic building block to getting what you want out of life. Well, it finally looks like the government’s attempt to keep interest rates at near 0% is finally winding down. Of course, there’s no way you can artificially buoy up the markets in perpetuity with “qualitative easing” – that would be like running the four minute mile around the circumference of the earth. And, as the bond buying tapers off, interest rates are heading up. So what can you do to hedge the future rise in interest rates? If higher interest rates are looming, the first thing to focus on is locking in current interest rates for as long as possible. If you have an existing seller carry loan, approach the note holder to see if you can add a few years on the existing loan term. The same if you have a bank loan. How many years should you shoot for? We think that 10 years is a good number – that gives you plenty of time to sit out the normal interest rate cycles. If you have notes that are coming due very soon, you should consider refinancing now and moving your debt into conduit loans (with a $1 million plus minimum mortgage amount) that offer a 10 year term. The bottom line is that longer loan terms is a great strategy to hedge rates. 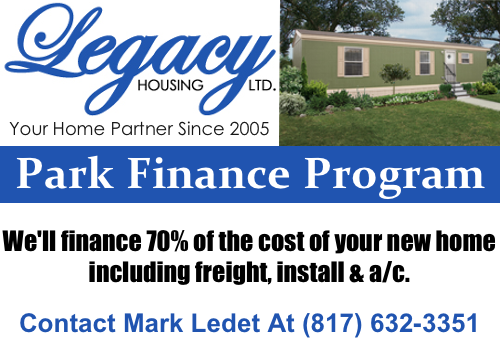 Mobile home parks have a built-in hedge to higher interest rates, if purchased properly, and that is the fact that they have the highest yields of any form of real estate. People who own apartments and other real estate classes with cap rates only marginally higher than interest rates are probably screwed. If you buy an apartment complex at a 6% cap rate and finance it at a 5% interest rate, you would be upside down if interest rates went up only 1 ½ points. Mobile home parks, on the other hand, have the largest spread between cap rates and interest rates – often 5 points or more. That leaves plenty of room for interest rate increases without disastrous consequences. On top of that, most mobile home park owners have the ability to push rents to equalize any interest rate hikes. So mobile home parks have the muscle to power out of interest rate increases with relative ease. I was an economics major at Stanford, and one of the first things you learn about interest rates is that they run in cycles from low to high and back again. A smart investor tries to lock down low rates for as long as possible, and avoid situations in which notes come due when they are at their peak. For a typical mobile home park, interest rates could go to 20% during the period that the park has its note, and the effect would be zero as long as rates descend back to low numbers before the loan matures. The good news is that high interest rates will ultimately return to low rates – the key is a proactive focus on timing. Interest rates normally go hand-in-hand with higher rates of inflation -- and real estate performs well in times of inflation, along with other hard assets. However, an extra plus of mobile home parks is the ability to raise rents without restriction in most states, so that you can keep cash flows ahead of any impact from rising rates. If you look up what investments do well in times of inflation on-line, you wil see that real estate is one of the top-performing. And since mobile home parks have the highest yields of any type of real estate, then mobile home parks are the best of the best. It appears that interest rates are poised to increase as the government curtails its giant cash infusion to keep them low. A smart mobile home park investor can mitigate this risk, and use it to advantage in regards to the resulting increase in inflation. We recently conducted an interview with Howard Huang, attendee of our Mobile Home Park Investor's Boot Camp. You can listen in the player above or Download The Interview. If you are considering investing in a mobile home park, then get the training you need to succeed at the Mobile Home Park Investor’s Boot Camp. 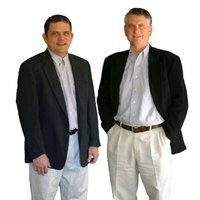 The next Mobile Home Park Investor's Boot Camp will be on July 19th-21st in Denver, CO. This is the three-day immersion event that shows you how to identify, evaluate, negotiate, perform due diligence on, finance, turn-around and operate mobile home parks. For more information visit the Mobile Home Park Boot Camp page or call us at (855) 879-2738. Have You Seen One Of These In A Park Lately? It’s just a fact of life that mobile home parks are a magnet for muscle cars from the 70’s. One of the highlights of any park is the person with the fake General Lee from the Dukes of Hazard. It doesn’t even have to be the correct make or model – painting any vehicle orange and putting a rebel flag on the roof makes it close enough. I once had a manager who had painted their pick-up truck orange and painted a rebel flag on the roof and told me that it was worth $50,000 because of that paint job. So the next time a tenant can’t pay their rent, suggest to them that they paint their car orange and sell it to their neighbor for a princely sum.